St. Nicholas Church is a parish of the Russian Orthodox Church Outside of Russia (ROCOR), in the Eastern American Diocese. 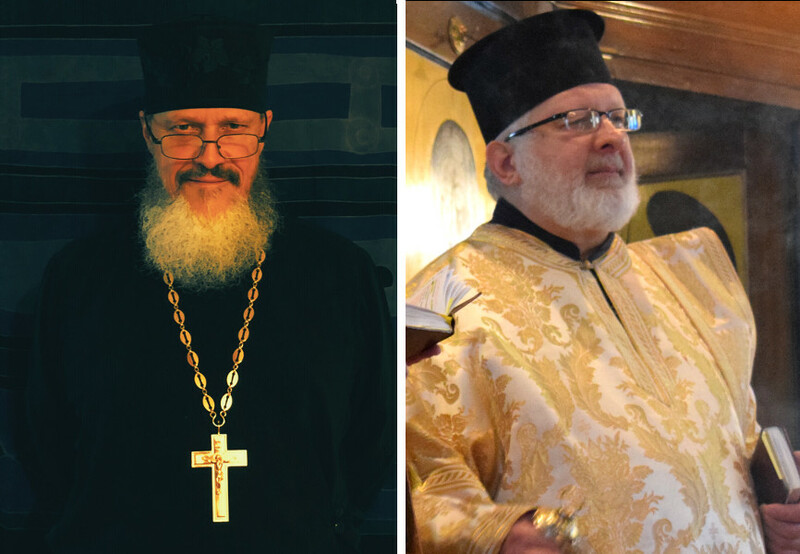 Our bishop is Metropolitan Hilarion of Eastern America & New York, First Hierarch of the Russian Church Abroad (left). 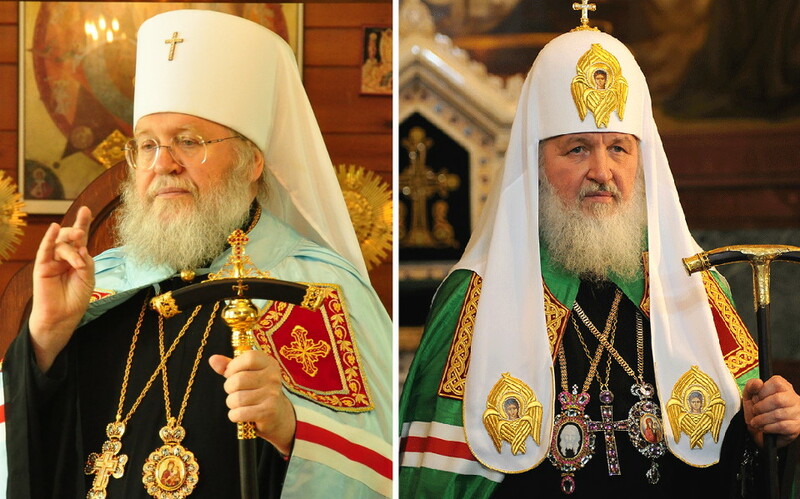 As part of the greater Russian Orthodox Church, we are also under the guidance and authority of Patriarch Kirill of Moscow & All Russia (right). Archpriest Dimitri Jakimowicz came to St. Nicholas Church in 2018. He grew up in New York and attended Columbia University before eventually moving to the west coast. He was ordained a deacon in 1999, and served at San Francisco's famous Holy Virgin Cathedral. After being ordained a priest in 2011, he served as rector of St. Herman's Church in Sunnyvale, CA, for five years. More recently, he became Executive Director of Chrysostom Press. Protodeacon Paul Giatas came to St. Nicholas Church in 2013—officially, having served here semi-regularly for years before. He grew up in Connecticut and Georgia, and later attended Holy Cross Orthodox Seminary in Boston; he also has graduate education in counseling. 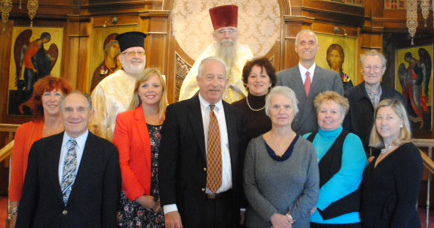 Ordained a deacon in 1983, he served for almost three decades at Holy Dormition Church in Cumberland, RI. Council members are elected annually. Leo "Dexter" Peavy has served as starosta (president) for the past decade. Maria Peavy leads the parish Sisterhood.